This is one of those topics that’s more suited to a long session in the pub than a blog comment. Where do you even start? Perhaps the most ironic thing is that, had SOE stuck with that 2010 version and been able to release a fairly unambitious, reasonably traditional EQ3 around 2014, it might have had something of a chance. We were still in the post-WoW era then…just about. Then again, who runs three different versions of the same MMORPG, targetted at largely the same audience (oh, wait, NCSoft almost did that with Lineage…). If they had ever gone down that route either the new EQ would have flopped or it would have killed one of the old ones, most likely EQ2, so I guess it’s just as well it didn’t happen. EQNext bamboozled me for a while along with everyone else but I thought it was apparent within the first year that it was in deep, deep trouble. When the story leaked that the entire SOE Live demo had been faked, and when I saw first hand how incapable the development team were of managing their own tools in Landmark, I realized it was all just one, big vanity project. The smartest thing Smed ever did with EQN was sell it on and the smartest thing DBG ever did was close it down for good. So where does that leave us? The idea of a version of EQ that aims simultaneously to “compete” with Pantheon and also become the first Battle Royale Fantasy MMORPG is pure surrealism. Competing with Pantheon is the equivalent of aiming for a niche audience in the high four figures, isn’t it? Or is anyone really expecting Pantheon to make a noticeable impact? As for having Battle Royale inside the MMO – didn’t work for Fortnite, didn’t work for H1Z1, isn’t even being planned for Planetside2. If it just means there will be a standalone EQ-themed Battle Royale, then I guess maybe, although the question there would have to be, who would care? 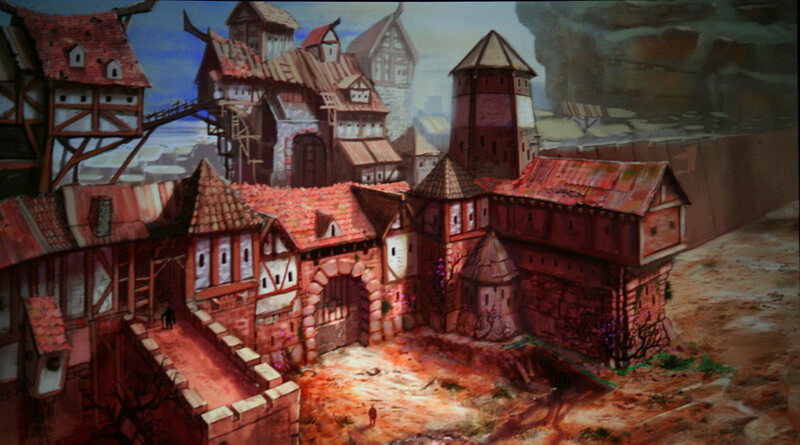 I’d love to see a good single player or co-op RPG set in Norrath. I was asking for one of those on the SOE Forums in 2003! If they’d made one then it would have sold a ton, too. Whether anyone would be more interested in such a thing in 2019 than they would bein any generic fantasy RPG, though, is hard to say. I guess it would have *some* name recognition. Perhaps the most interesting possibilities lie with Consoles and Mobile. We all know that’s where the future of gaming lies. PC gaming is on borrowed time already. Instead of EverQuest 3, how about EverQuest Online Adventures 2? I’d buy a console for that. 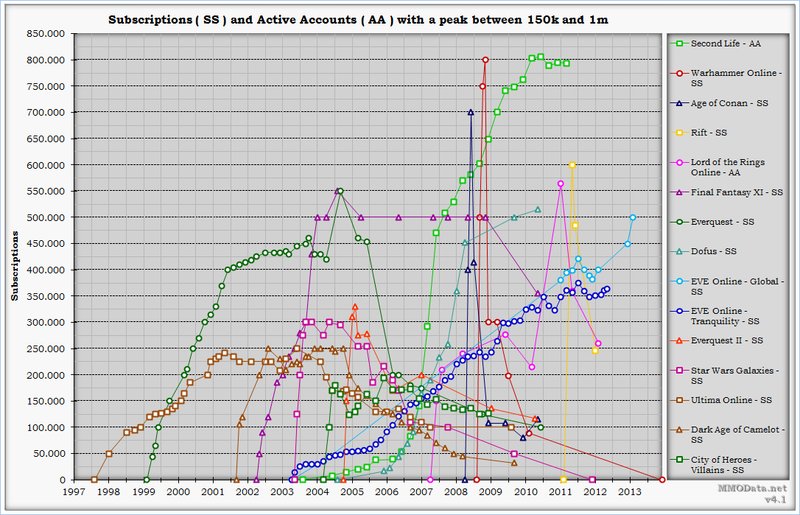 My gaming preferences, specifically in the MMO-type arena have changed a *lot* over time. There is probably something of a blog post in and of itself in that, but my first MMO was Asheron’s Call, also in the 98-99 era. If I recall correctly, in launched out of beta in Nov ’99, although I managed to get in around the Beta 2 stage. My exposure to gaming before that had been largely level based, even Tomb Raider which had fairly expansive levels by that day and age were bound to a strictly defined area. When I logged into Asheron’s Call for the first time, and it dawned on me that there simply was not any (for all intents and purposes) bounding box or end of the world it was mind blowing. In an almost literal sense. I still vividly remember coming to a complete stop on the far bank of the Holtburg river, looking back in the direction I’d come, over the marsh, seeing campfires of Drudges. It was almost more than my mind could take, so far out of my experience and knowledge of what a game was. By today’s standards, it was a punishing game. You could lose equipped items on death, you took stat penalties that had to be worked off and could stack to pretty substantial levels (40% loss of power was the cap). But I loved it. I even went all in on the PvP server when that became a think, the ‘Black’ server in beta which ultimately became Darktide. I was a PvP advocate, trying to explain to anyone who would listen the absolute joy there was to be had in a full PvP game like this. I was on the side of the ‘Anti-RPKers’ (or Anti Random Player Killers, RPKs being those would kill anyone on sight without cause, such as the Blood guild), we protected key leveling spots, raided known RPK hotspots, fought for control of land for the Anti-alliances. EVE gets a lot of credit for the stories it creates, and it is well deserved, but AC had its own war stories such as the RPK taking of Ayan Baqur by an unheard of at the time RPK alliance to battle our own. But if you told me there was a graphically modernised version of Asheron’s Call: Darktide coming out today, with all the same rules, I’d not have a bar of it. I struggle to pin it down to a set of specific changes or reasoning within myself, but I know a part of it is that back then the MMO world was my social oyster. Anyone was a potential friend (or foe), getting to know my guild mates and get invested with people online was something I was much more willing to do. For better or worse, I now tend to stick to a relatively well known friend group. Depending on the game and the activity and my own comfort level with it, I will still PUG. But except for in very rare circumstances, I never expect to talk to these people again. I don’t know if this was an internally driven change, or a change that has come about and I’ve ‘adapted’ to with the more modern MMO setups of LFG, cross-realm play, etc, both seem equally possible to me at the moment. To answer your actual posted question somewhat — the dream sold of EQ: Next was something I loved the sound of. It was pretty clear that dream was in dire trouble even in the 2-3 years before the official closure of the project, but nonetheless, I hoped. Conceptually I would still love to see a ‘virtual world’, with strong sandbox elements. But my wants of such a game are so high that I don’t know they would EVER be achieveable. Given that to be true (at least now), I find myself settling for MMO-lite type titles a lot more. I still think that Everquest carries enough name recognition that it would be looked at if an MMO could be made. Though very few people have played the game, enough old farts like myself have talked about the in my day moments that I believe it would at least be looked into. I think the lore and holy trinity setup would fit in to the gaming world. 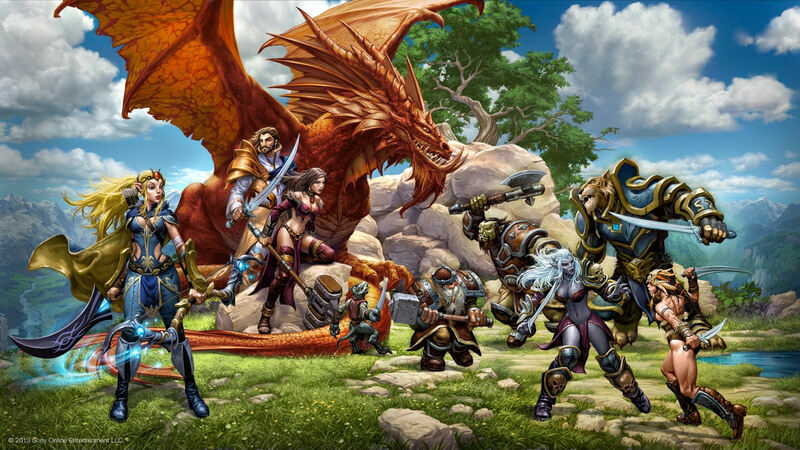 Niche mmo games are much easier to come by these days in the genre, there is no need to be a WoW killer. And thank god, because the chasing of WoW led to the death of a lot of games, particularly SWG (oh how I loved that game). I don’t know why anyone would worry about Pantheon after how terrible Vanguard was. Though I will admit that I hope beyond hope that Pantheon goes well as the systems in Vanguard were amazing, just terrible coding. I personally just want to see something in the EQ universe. MMO, RPG, hell give me a 3d MOBA a la Paragon. I just want to play an EQ style monk. One word: sandbox. Three words: player-driven content. This is hard as hell, both from a technical and especially from a game design standpoint. That said, I’d play the living daylights out of a fantasy-genre game that combined the best elements of EVE with the best elements of WoW. MUDs, which inspired all this, were player-driven. The MUD content developers were drawn largely from the playerbase (and vice-versa). If there were zones or quests or whatever, it’s because the players wanted there to be. Text made this feasible for spare-time independent game developers. Most MUDs didn’t do the sandbox thing too well. For every LambdaMOO (*too far* in the sandbox direction) there were several Dikus. The part of the sandbox MORPG that MUDs got right, though, was the social aspect. Most of the players were engaged with each other as well as the world. Significantly, this was in an environment where cooperation rather than competition was the norm. There was some PVP, but it was Player vs Player, not faction vs faction or guild vs guild. WoW’s forced Alliance/Horde binary seems like a good thing on the surface, but I think it ultimately was a mistake. Faction warfare wasn’t what drew players to the game and kept them there, and for social players it was and is an obstacle to overcome. I’m going to go out on a limb and say that WoW could have been even bigger and sustained itself better if they’d stayed away from it. What’s the direct relevance of all this to the sandbox? In a well-constructed sandbox, *the players decide. * Most folks want to group up and fight each other? Good, do that. Most folks want to share a world and keep PVP fights small and local? Good, do that. Everybody bemoans EVE’s Blue Donut and the lack of large-scale gudfites, but y’know…if everybody wanted it all to become Epic Warfare 24/7 the only thing standing in the way would be a lack of sandboxiness in EVE. One could argue all of this either way, mind you, but in MUDs you could hardly argue that the players were “forced into” any playstyle they hated; at least in that time and place that seemed to be casual mostly-friendly play. I am not a professional game designer, and EQ3 should have several. That said, a player-driven fantasy sandbox is where I would head. I’ll happily pay $20 / month for the feeling of playing a modern MUD with more scalability and flexibility and with real graphics and physics. Those were the funnest MORPGs I ever played. About the EQ series: I was never quite clear on why they would make a sequel besides “that’s just what you do” for successful games. WoW2 was called Cataclysm and arguably it accomplished what they set out to do with an EQ sequel, without sacrificing player base. That said, I wonder if EQ + EQ2 population is greater that what EQ would be today by itself. If so, maybe they’re having the last laugh after all. Not a popular opinion, but EQ2 with updated graphics and a smoother levelling curve would suit me fine. I want an expansive world with quest, story-rich driven gameplay. There are several fairly high profile survival sandboxes now, would a sandbox MMORPG really make that much of a splash, if MMO lite gameplay is the new thing, do enough people want grindy gameplay where you’re enjoyment is mostly dependent on enough other players of the right mindset being online when you are? @Archey House of Sag! Man, that brings memories back. My main guilds back in that era were Towel and then Adnan. After that initial burst though, I kept coming back in a fairly regular 6-8 months on, 3-6 months off. Over that time I was largely in Khao (sp?) but also had short stints of running independent guilds with friends. Anywho, yes! Awesome to see another from that era still around and kicking. Was such an incredible game.